If you’d like to use your conservatory all year long then consider having glazed windows installed or replaced. Glazed windows will not only make the temperature in your conservatory more comfortable, particularly during cold winter months but also dramatically improve its appearance. 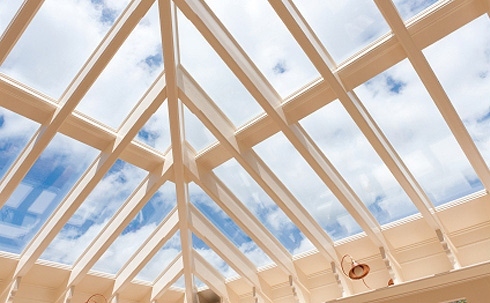 We specialise in conservatory installations of every description so whether you have a Victorian style or Edwardian style or a thoroughly modern style conservatory, we can help. Our team of professional glaziers will install and replace the glazing in your extension or conservatory at very competitive rates. And for your peace of mind, all our glazing comes with a 10-year insurance-backed guarantee. We’ve been installing and replacing glazing in homes and commercial premises in Cherry Hinton and Cambridge for more than 30 years. We’re members of the Glass and Glazing Federation, FENSA Registered and a Trustmark-approved contractor so you can rest assured that you’ll be dealing with a very experienced, professional team. To find out more about our conservatory glazing and installations, please call us now on 01223 211572 or contact us here.